It's been exactly one week since a select few Samsung Ativ S began receiving their Windows Phone 8.1 updates, and now there's more good news for Ativ S users this Halloween. 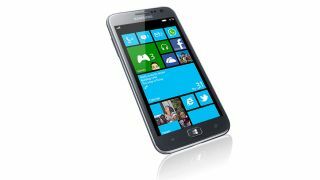 The update was limited at first to Ativ S handsets in Austria, but Windows Central reports that their unlocked UK Ativ S has been upgraded as well. Users on the site's forums are saying the same in other regions, so it seems Samsung has begun to push out the WP 8.1 Ativ S update in earnest at last. The over-the-air update bumps the Ativ S up to Windows Phone 8.1, and it also includes the first minor update after that as well. That bundling may be why it took longer for 8.1 to arrive on Ativ S handsets than it did on Lumia phones, the site speculates. Windows Phone 8.1 adds speed improvements, bug fixes, new features, and - most importantly - Microsoft's virtual personal assistant, Cortana. If you have an Ativ S you may be treated to the update just in time to ask Cortana what kind of candy you should eat this Halloween.